Checked Shirt, Beyond Retro. 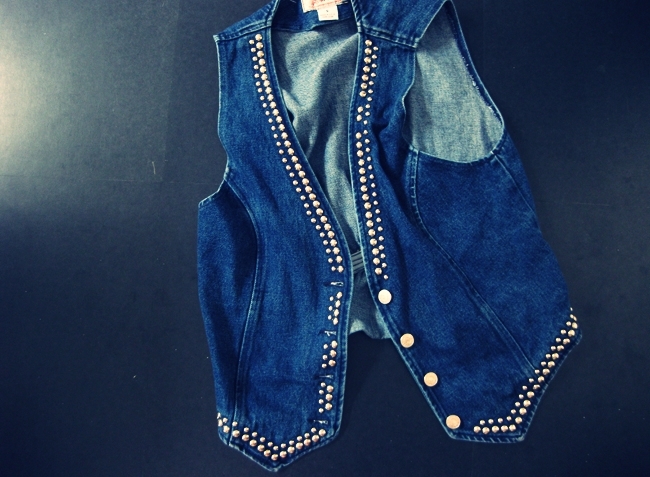 Jeans, Cubus. Zipper boots, Minimarket. 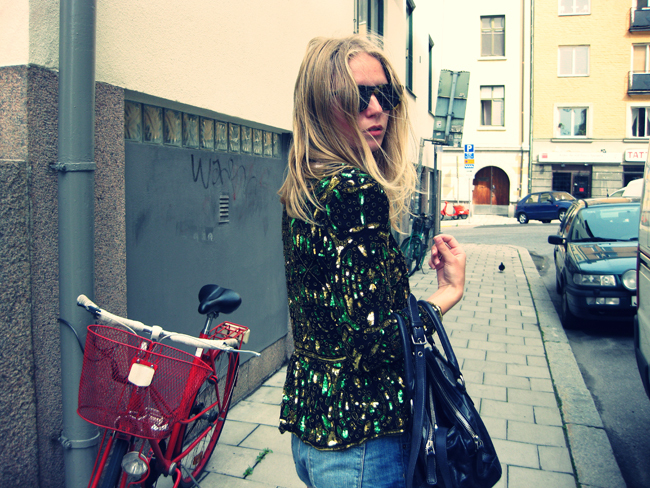 Bag, Miu Miu + the everyday jewelry. CHECKED. Found this super soft checked shirt a couple of days ago at Beyond Retro and ended up wearing it basically the entire weekend. I love lazy sundays and dressing comfy. 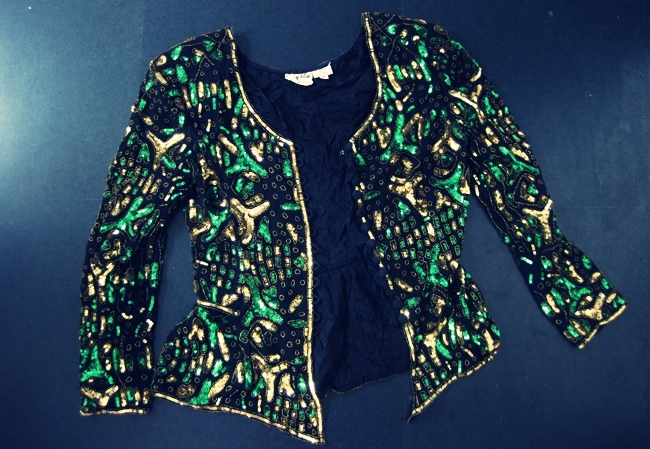 Sequin jacket, Beyond Retro. Tee, COS. Denim Shorts, Zara. Bag, Miu Miu. Shoes, Bronx. Cross, from a vintage market in miami. FRIDAY. I found this belly baring t-shirt yesterday when I was rummaging through my favorite vintage/thrift store, Beyond Retro, and thought it was too much fun to pass up. It will probably take a while before I have built up the courage to actually wear it in public, but it’s always fun to experiment and play around a little!